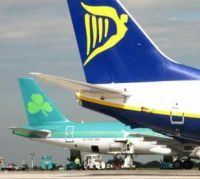 Britain's Competition Appeal Tribunal (CAT) has thrown out an appeal by Ryanair, which would have blocked regulators investigating the budget carrier's minority shareholding in Irish rival Aer Lingus. The air war between the two Irish airlines is having severe repercussions for Aer Lingus who has also accused Ryanair of causing unnecessary legal costs. Sales of the Boeing 737 MAX continue to slowly eat away at those of the Airbus 320 NEO (new engine option) with Singapore Airlines’ subsidiary Silk Air the latest to order the aircraft, making the decision to switch from an Airbus fleet to that of Boeing. Now in its 25th year, 27-28-29 November are the dates for the annual EIBTM, Europe’s major meetings, incentives and events gathering. The venue once again is Barcelona’s massive 42,000sq m Hall 3 of the FIRA exhibition complex. 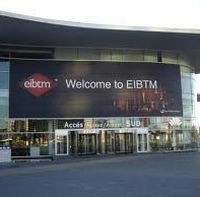 EIBTM, which pioneered the now popular ‘hosted buyers’ concept, will welcome some 15,000 travel experts from all over the world, supported by 3,000 exhibitors. 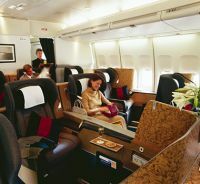 The Business Class only operation by Hong Kong Airlines from Gatwick is to be suspended from 10 September. 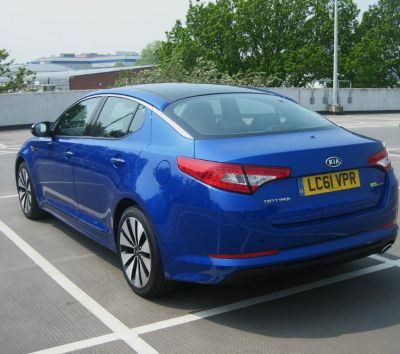 In effect it was a two-class flight featuring essentially a premier service at the front end and what was more akin to the better of the Economy Plus products with semi-lie flat seats at the back. 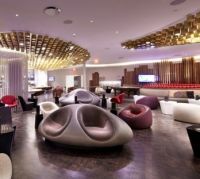 Virgin Atlantic has announced details of its a brand-new Clubhouse at Newark Liberty Airport set to open in October 2012. Aircraft enthusiasts will be pleased to learn that the world’s oldest twin-engined jet aircraft, the Air Atlantique Classic Flight’s Meteor T7, is down to fly at Dunsfold’s 'Wings and Wheels' event over the forthcoming UK Bank Holiday 26-27 August. The Meteor saw service in World War II. This example was built in 1949, making its last flight for the RAF in 1963 and not returning to the air until 2011 after a 20-year restoration programme. 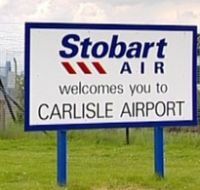 Cumbria could have an air link to London by next autumn after Carlisle City Council last week gave Stobart Air, a division of Stobart Group, the go-ahead to develop Carlisle Lake District Airport. Boeing 787 first deliveries to airlines continue with each one a celebration, Ethiopian Airlines choosing a dual Washington handover. Tomorrow (14 August) there will be an official acceptance at Everett, Washington State, followed by a flight to Washington DC the next day where the aircraft will be on display. During the presentation the Ethiopian Dreamliner is expected to be visited by US Senators and House Representatives as well as Ambassadors, Executives from the World Bank and IMF, members of the Ethiopian community, the media and other invited guests. 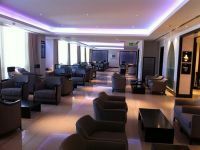 Oman Air has opened The Majan Lounge at Muscat International Airport located on the lower floor of the departure terminal. 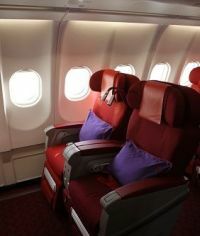 The airline says that it offers a luxurious and tranquil environment with a modern Arabian twist. 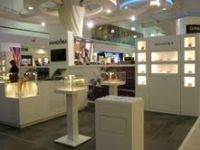 Luton Airport has a new tenant for its upstairs departure lounge, the world famous jewellery brand Pandora joining nearly 20 other sales outlets including Accessorize, Boots, Dixons Travel, Kurt Geiger, JD Sports, Monsoon, The Travel Galleria, Tie Rack, Sunglass Hut and WH Smith plus of course a duty free shop for those travelling outside the EU. 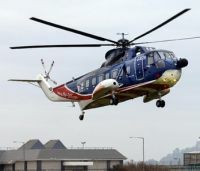 What is probably the world’s longest running helicopter service is to close at the end of October. 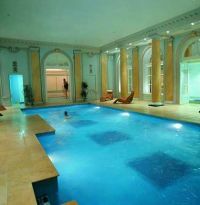 Just in time for the Olympics the London Waldorf, off The Strand, has completed a £3.4m overhaul of 100 guest rooms. The recent refurbishment is part of a larger £11.5m hotel-wide redevelopment that has seen the Adelphi Suite and Good Godfrey’s bar restored back to their elegant 1920s art deco style. Did you enjoy the Olympic men's Marathon yesterday (12 August)? At 26 miles plus it was four laps of some of London’s most interesting areas. BTNews has a suggestion. 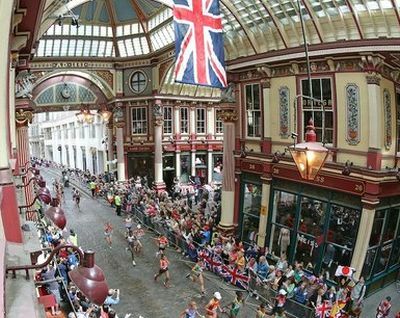 Next time in London walk just one circuit, six miles, taking in some of the capital's most famous and iconic buildings. You can save a little by cutting out the Westminster Bridge loop. And to be fair you will never be far from a bus stop or Underground station. Of course if you want to take in what’s on offer and take a look at some of them you need much more time, perhaps one week. We have only mentioned a few of what is passed en route and your favourite building may have been missed. A Norwegian tourist has been caught on X-ray sleeping on a moving baggage belt at Rome's Fiumicino airport. The unnamed 36 year-old man reportedly climbed over one of the check-in desks and fell asleep on the belt that takes luggage to be loaded on to planes. When the belt started moving, he travelled for around 50m curled up in the foetal position. He apparently remained asleep after staff spotted him in the X-ray machine, stopped the belt and alerted police. The tourist, who appeared to have been drinking heavily, will now face charges in relation to the incident according to Italy's La Repubblica newspaper. The incident has raised questions about security at the airport, but a police spokesperson told the paper that the man could not have got through to secure areas of the airport. 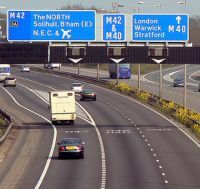 "There is a security system – a sort of roll-up blind – which can only be opened by the member of staff who loads the baggage," the officer said. "[The Norwegian] could have carried on going round the main belt but he could never have ended up in sensitive areas of the airport". The independent Greek airline Aegean, a Star Alliance member and now the country’s largest, has announced a revised London programme with the start of the winter operational season at the end of October. Following increasing rumours within the UK travel trade, Qatar Airways has issued the following statement. 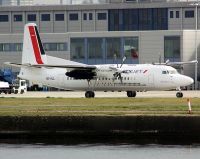 There are now big question marks over the future of Air France owned CityJet, Dublin-based but effectively centred at London City Airport. 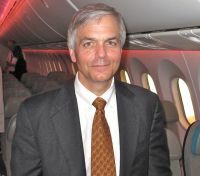 This follows remarks by AF Chairman Jean-Cyril Spinetta that the loss making airline could be for sale. CityJet is the second largest operator at the airport with about one-third of its three million passenger throughput. IAG Chief Executive Willie Walsh has stated that British Airways has no interest in purchasing the carrier. British Airways has announced the introduction of a First Class cabin on four popular Caribbean routes from Gatwick flown by Boeing 777-200 aircraft. 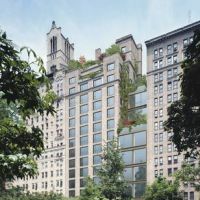 One of New York’s most stylish roof gardens has re-opened on top of the iconic Gramercy Park Hotel, part of Design Hotels and situated on Lexington between 22nd and 21st Streets. Quite unique the boutique hotel has just 185 rooms, tiny by New York standards. Its location is adjacent to New York’s sole private park, accessible only to residents and hotel guests. 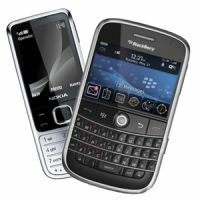 Passengers on Ryanair, who have given the airline details of their mobile phone numbers, will now receive FREE text message updates to advise them of the likely duration of a delay and the new departure time. 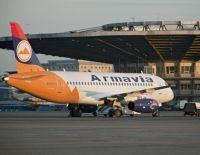 Armenian airline Armavia appears to have withdrawn its Sukhoi Superjet 100 airliner despite being the plane’s launch customer. It has been operating a single aircraft but due to alleged reliability problems is thought to be only securing 150 hours per month utilisation, less than half that achieved by Airbus and Boeing with their 320 and 737 series aircraft. 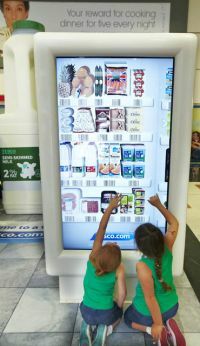 Gatwick has introduced the UK's first interactive virtual grocery store with the opening of a Tesco 'shop' in the North Terminal departures. The outlet is designed to ensure that the hassle of returning home to an empty fridge is no longer an issue for UK-based passengers.